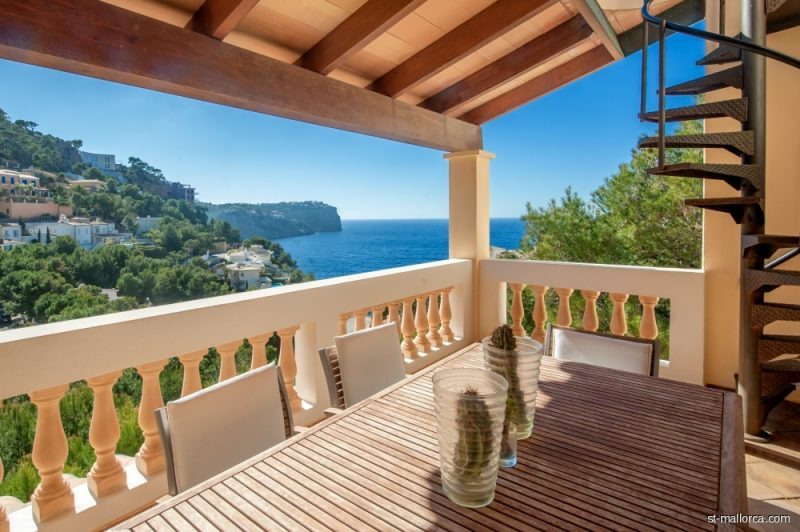 This mediterranean Penthouse offers a lot of privacy and spectacular views over the pine forest to the open sea and La Mola. 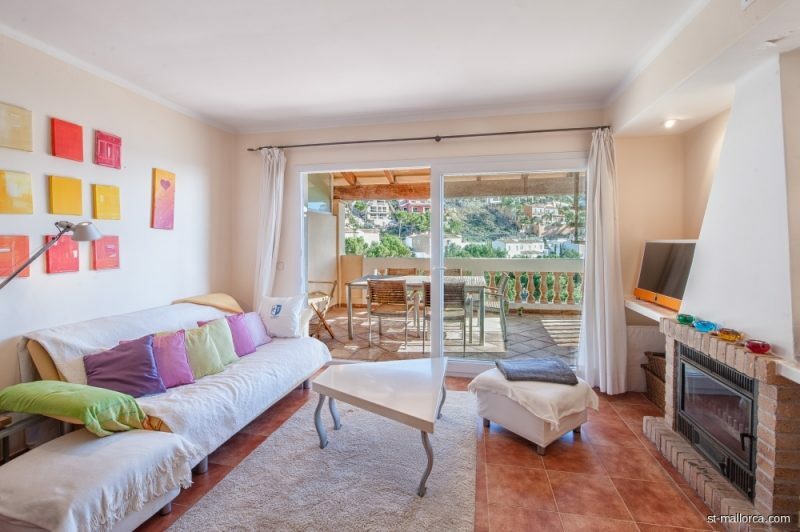 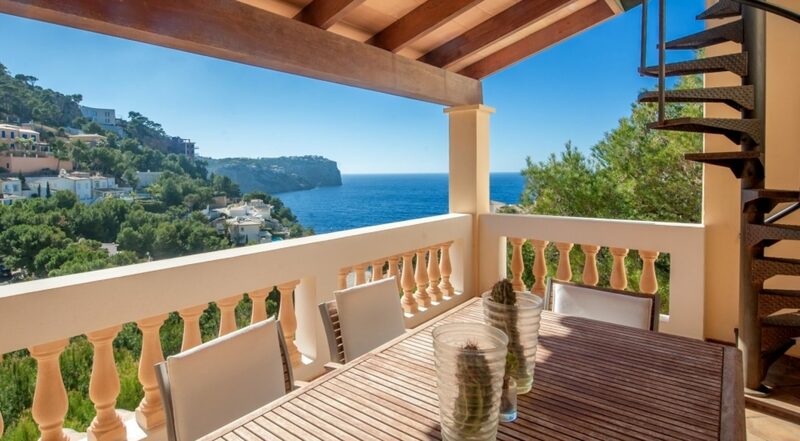 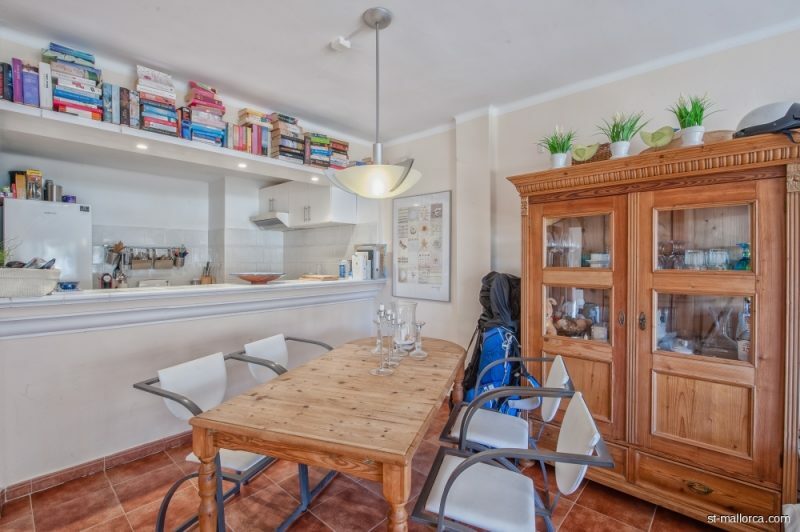 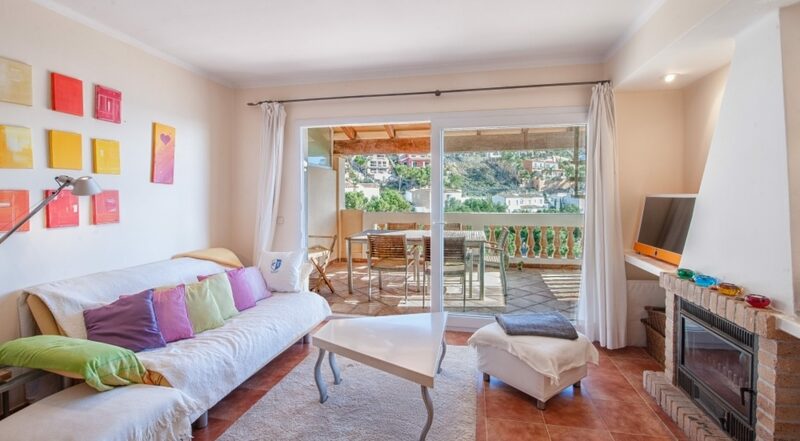 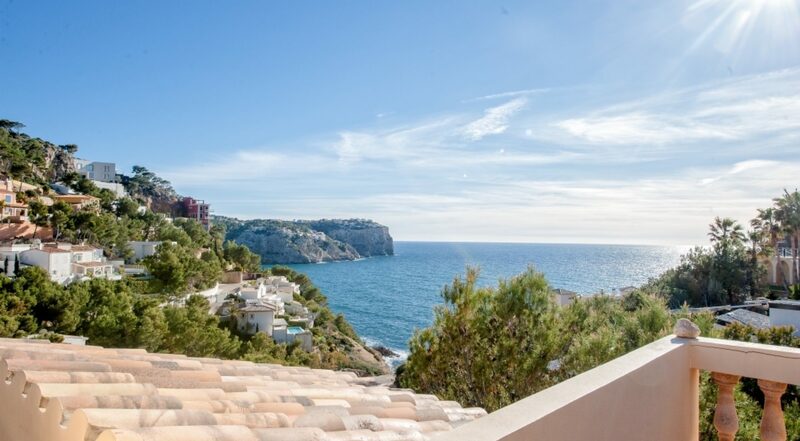 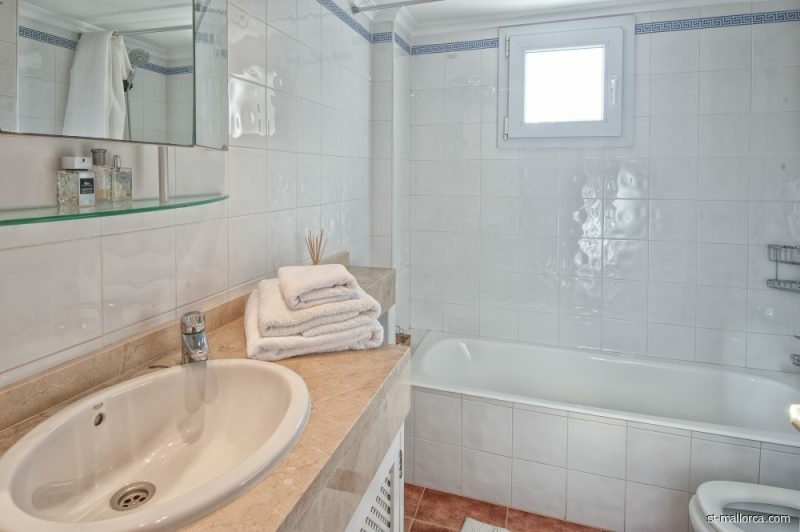 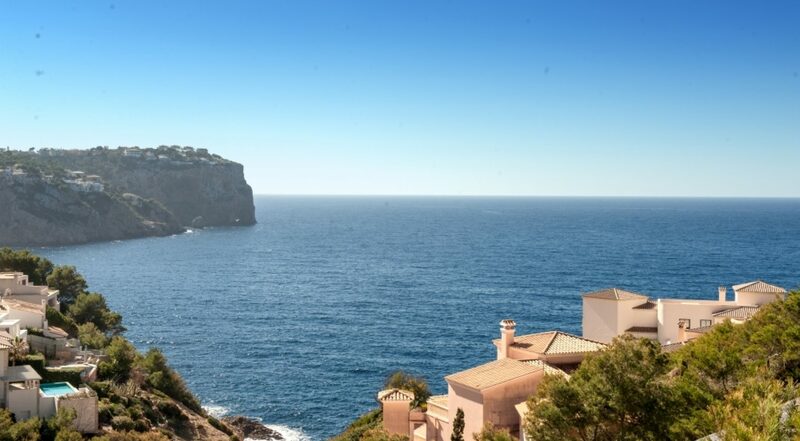 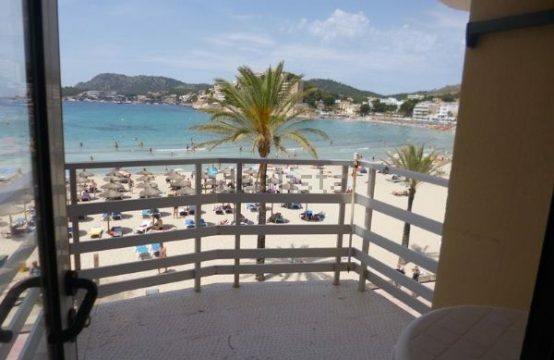 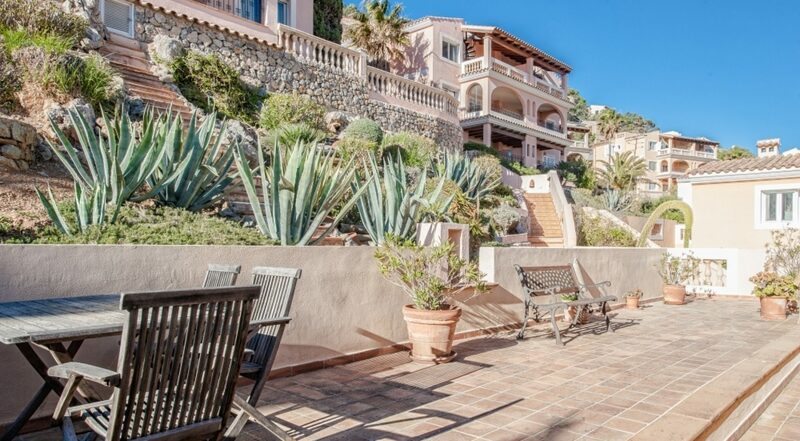 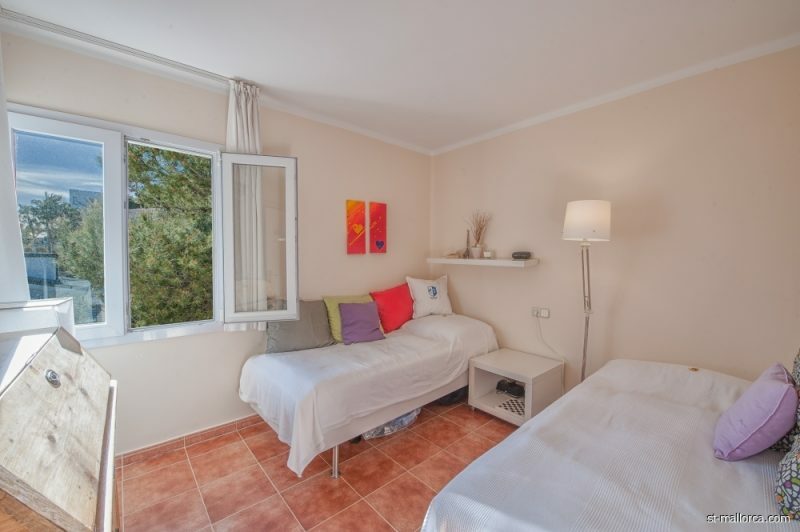 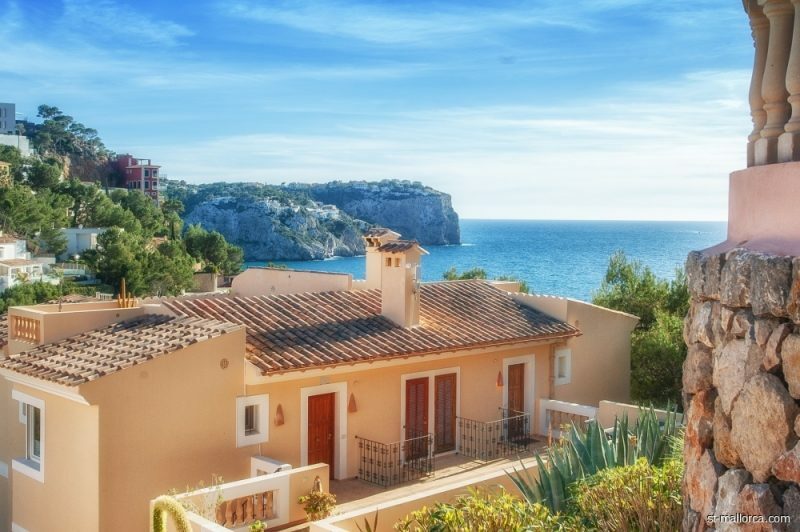 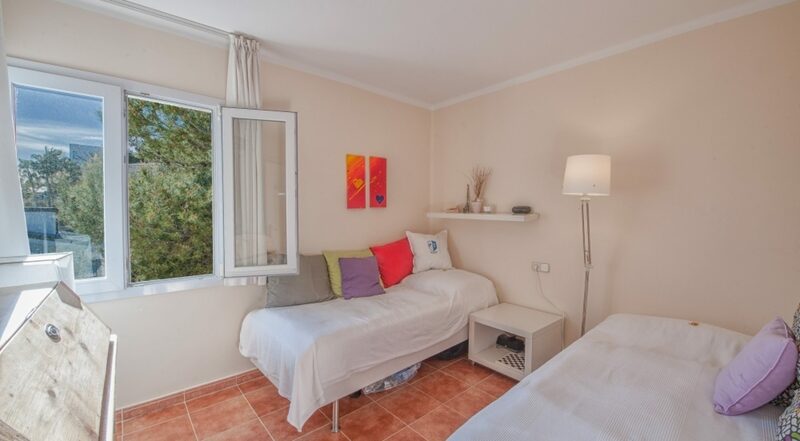 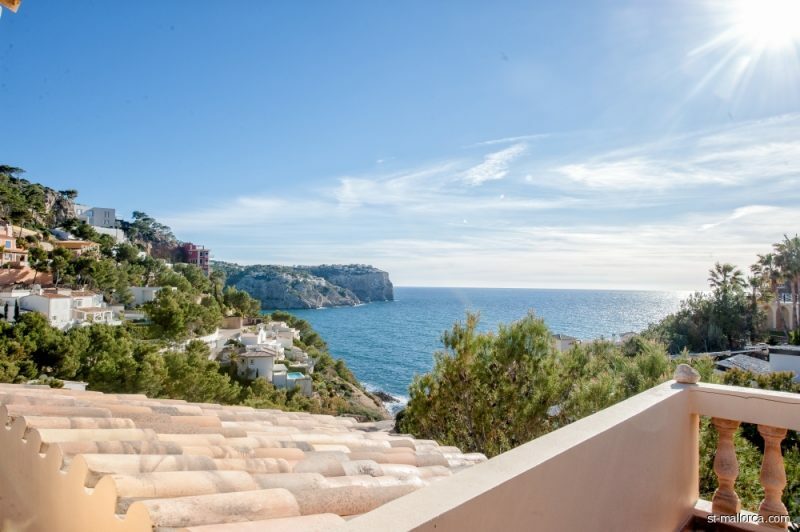 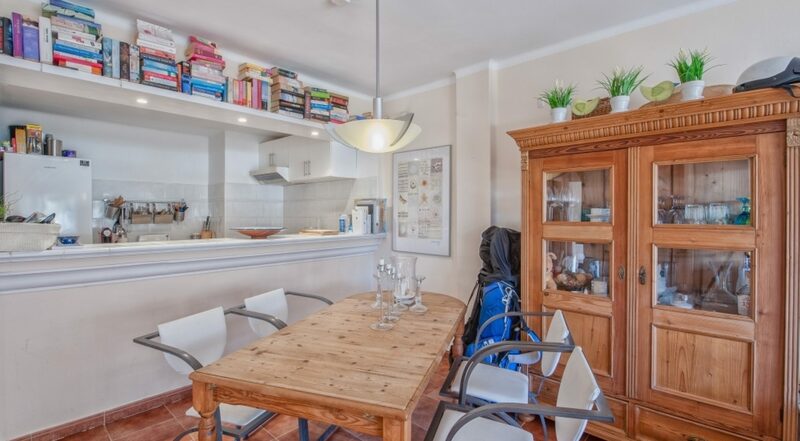 The location of this apartment in Cala Moragues is perfect! 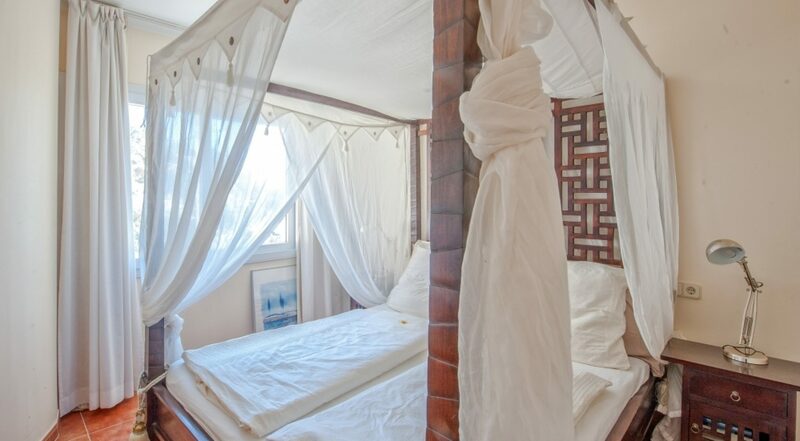 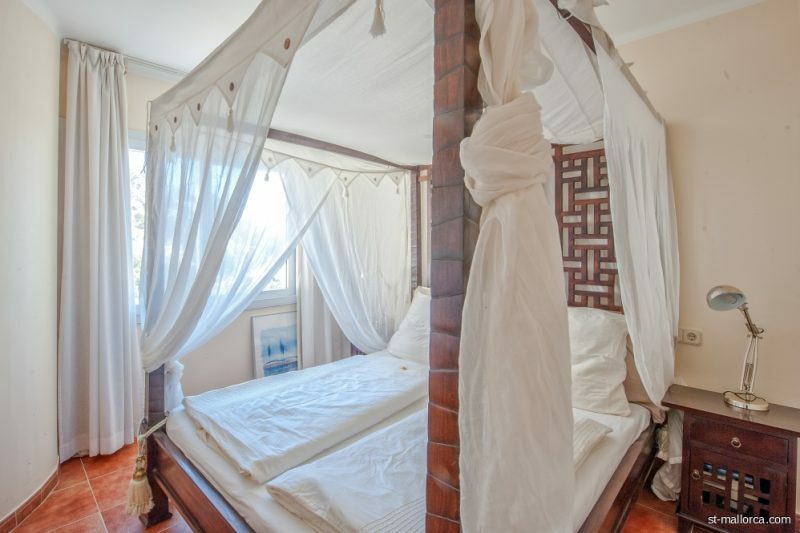 The condition is well maintained and can be used immediately for your next holiday. 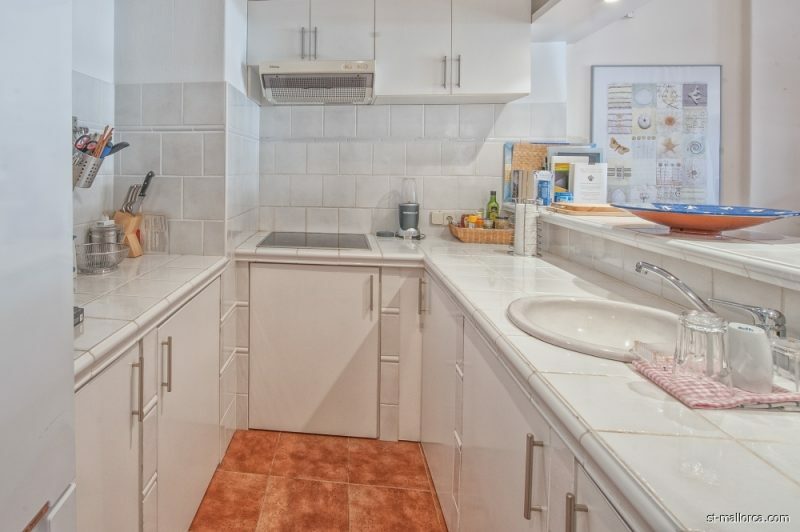 However, a small renovation would increase the value. 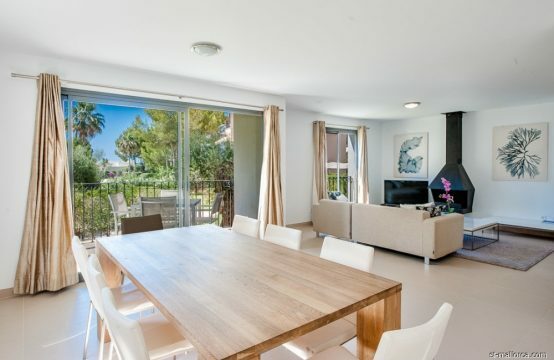 This Penthouse offers 89 m2 of living space, divided into an open plan living-dining area with american kitchen and 2 bedrooms and 2 bathrooms, one en suite. 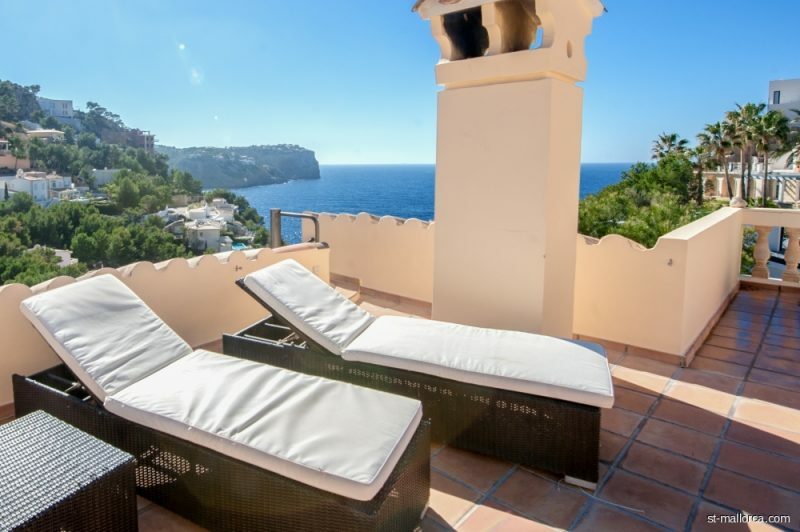 From the living area you reach through a large glass front the 16m2 covered terrace and over the stairs you reach the roof terrace with stunning sea views! 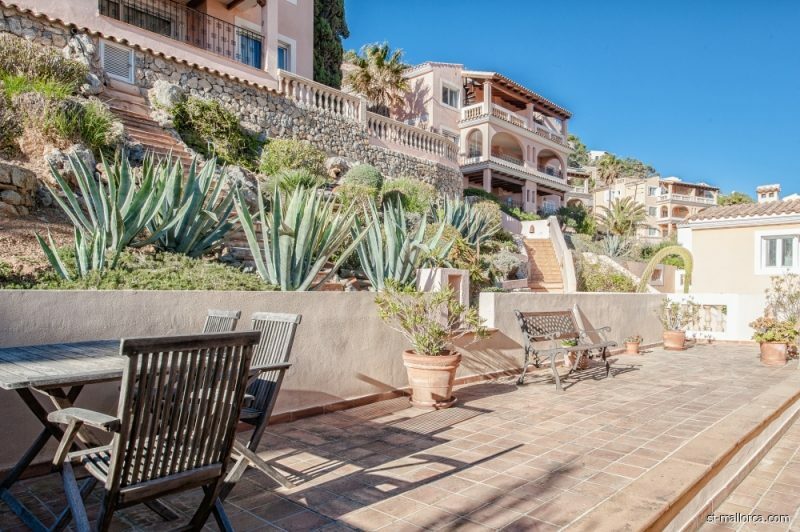 At the entrance there is even a third terrace. 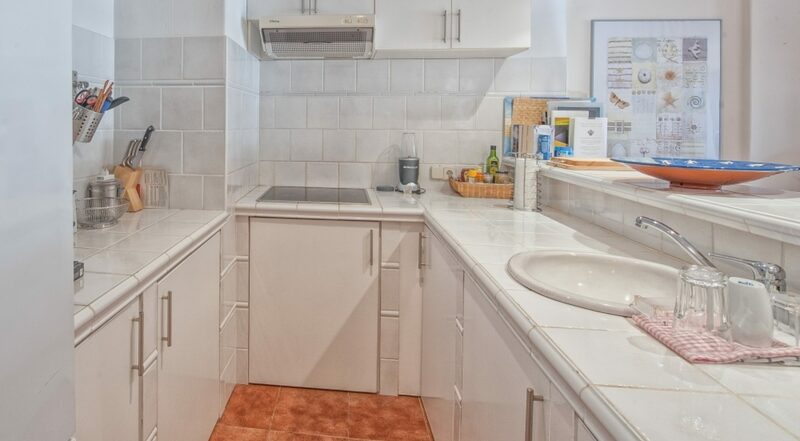 The community offers underground parking, a mediterranean garden and pool area. 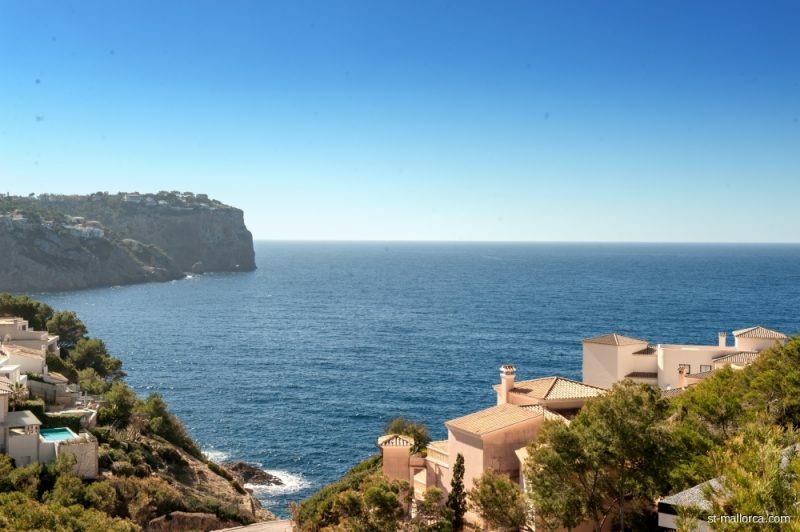 Cala Moragues is an urbanization which belongs to Puerto Andratx with his harbour promenade, restaurants and shopping area. 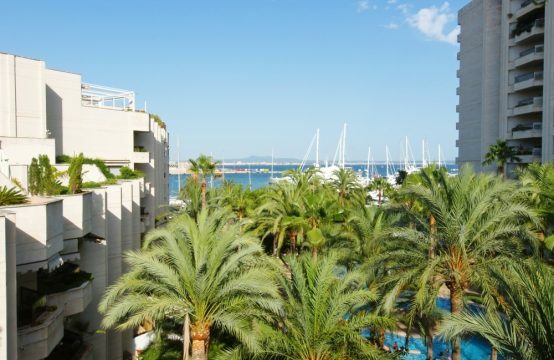 Palma and the airport (35 km away) are quickly accessible via the motorway . 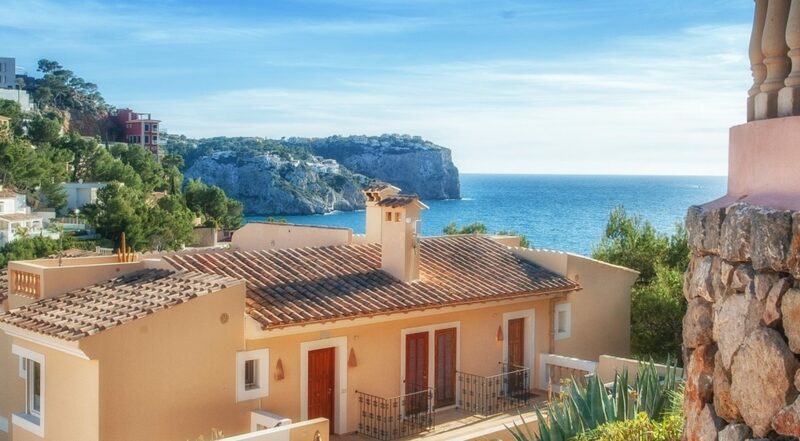 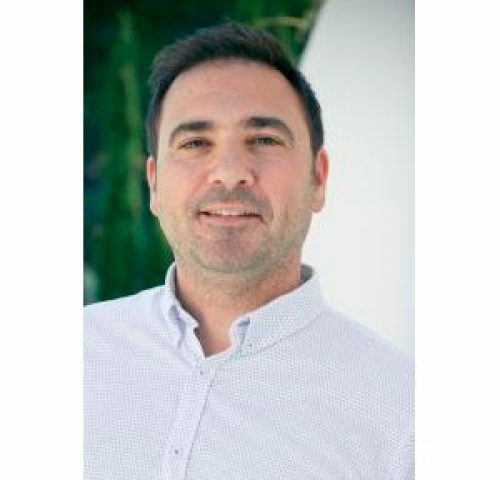 S&T Your Personal Real Estate is your personal real estate agent in the southwest of Mallorca.